Average Revenue Per Daily Active User (ARPDAU) – Gross revenue for in-app items per daily active user. Average Revenue Per Paying Daily Active User (ARPPDAU) – Gross revenue for in-app items per daily active user who purchased in-app items. 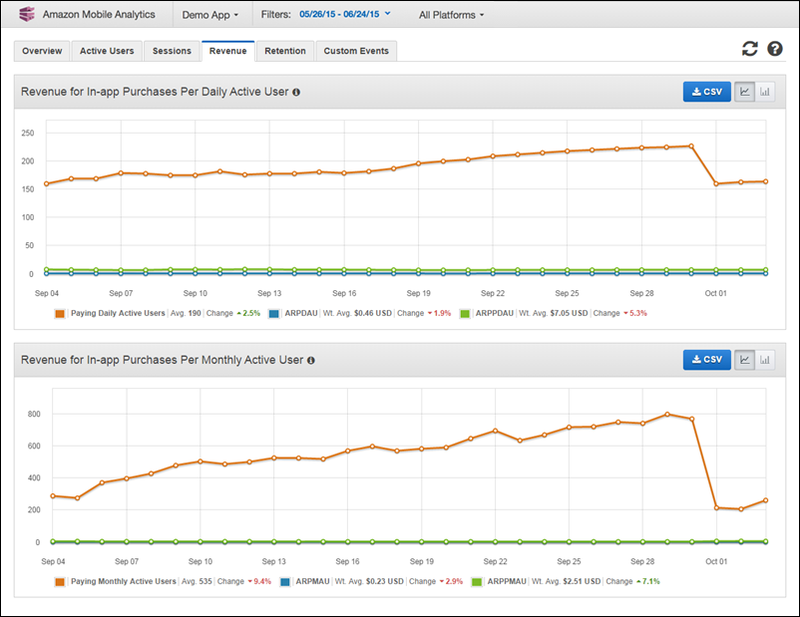 Paying Daily Active Users – Users who bought an in-app item on a particular day. Gross revenue does not include taxes, product returns, reimbursements, subscriptions or revenue from the purchase of the app. Average Revenue Per Monthly Active User (ARPMAU) – The gross revenue divided by the number of users who bought an item from your app in the last 30 days. Average Revenue Per Paid Daily Active User (ARPPMAU) – Gross revenue for in-app items per monthly active user who purchased in-app items. Paying Monthly Active Users – Users who bought an in-app item in a particular month.